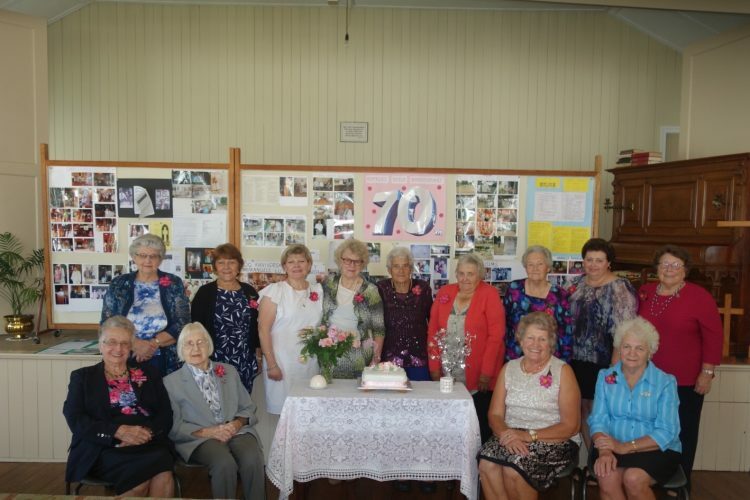 Seventy-eight LWA & LWQ Exec, members, Pastors and visitors met at St John’s Church Wilsonton for Fellowship Day hosted by the Wilsonton/Glencoe Parish. 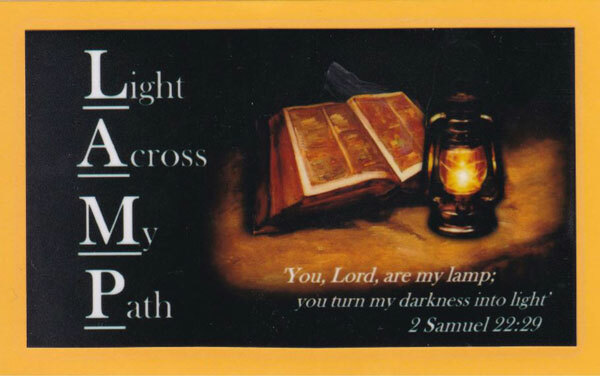 Pastor Peter Faggotter based a study entitled “Lights shining in the darkness” – Jesus said ‘You are the light of the world. “Light” is mentioned 265 times in 230 Bible verses. 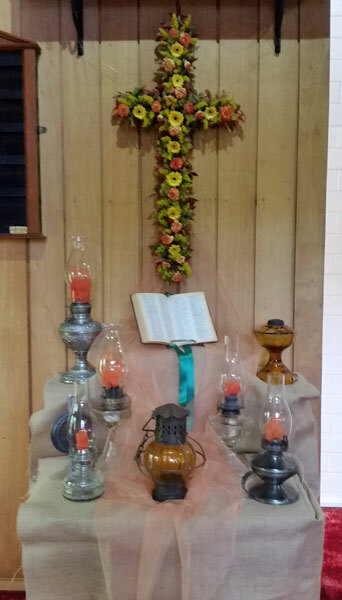 God is Light – God’s glory gives light, Jesus the Lamb is the Lamp. Darkness is opposite to light, (devil, evil, unrighteousness); we need to put on the armour of light. Fallen humanity lives in the darkness – Christ came to bring light. Pastor reminded us that we’re only ‘light’ in the Lord – outside of the Lord we are darkness. ‘Walk as children of light’ (Eph 5:8). He encouraged us to expose darkness by shining brightly – not by being judgemental. Dave Hansen from Gideon’s International shared his trip to Peru in 2013 in what they called “Scripture Blitz”. In two weeks they gave out 1,085,000 Bibles and were able to share God’s Word in hospitals, police stations, prisons, schools and universities as well as in the streets. In one day 40,000 Bibles were shared in a university with many young people asking questions – the people of Peru are hungry for God’s Word. 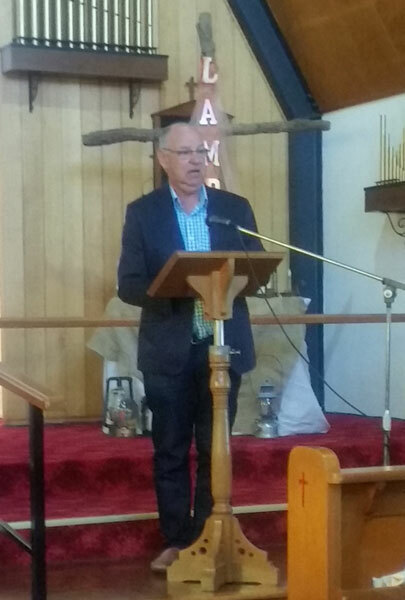 Warren Schirmer from LCA International Mission (Volunteer Program Assistant) told us how monies given by Lutheran Woman were invaluable in the work being carried out in Cambodia. Home of Praise and Debora Orphanage continue to share God’s love while taking care of their physical needs. He told us of the devastating treatment Cambodian people were subjected to during the rule of Poll Pot. ALWS in conjunction with Government aid, and with the LCA International Mission in partnership with the Lutheran Church of Singapore are spreading the Word and Grace to the “New Generation” Christians in Cambodia. LCA International Mission is also sharing God’s Light (Gospel Ministry) in the areas of Dental, Clean Water, IT, The Feeding Program, Medical Stations (also acknowledging the work of the Fred Hollows Foundation) and the Australian Lutheran College in the training of Cambodian men. Warren thanked LWA for their continuing assistance in PNG via Women’s Training, Birthing Kits and Solar Panels. He expressed his sincere thanks to LWA for their incredible support both financially and prayerfully. 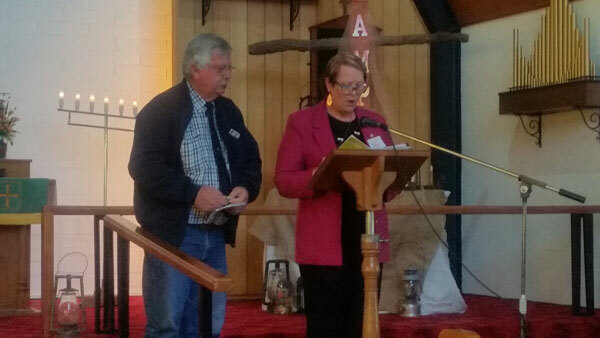 The offering of $826.00 was shared equally to Gideon’s International and Lutheran World Mission Cambodia – LWA Project. Shirley Horrigan, LWQ 1st Vice President updated us on the recently held Convention at Hervey Bay. By all reports, all who attend had a “Whale of a Time” – true to the theme. 2020 will see a new concept in that a combined Retreat/Convention is to be trialled, hoping that more ladies may be able to attend. LWA President Tuula Contarino updated us on General Convention to be held in September/October and encouraged all women to continue in the work of Lutheran Woman. 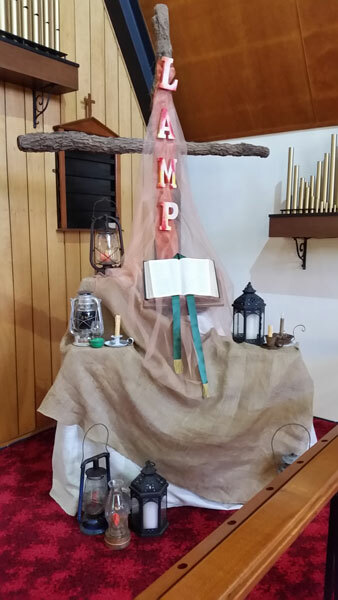 Heartfelt singing of songs, reflecting the ‘LAMP’ Theme was enjoyed by all throughout the morning. Pastor Robin Hoffmann closed the day reflecting on “The Compassion of Christ” based on Mark 6: 34… – Christ had compassion on the large crowd that had followed them because they are like sheep without a shepherd. One cannot have compassion without love. The day was closed with prayer and benediction before singing grace “Keep my light shining”. A light lunch was supplied by the hosting guilds, for a small cost, with proceeds going to Zone Projects. $285.00 will be shared between Toowoomba Hospice and DD School Chaplaincy. This was the first time Fellowship Day was only a half day program, officially finishing with lunch. Many took the opportunity to stay and chat, enjoy fellowship and shop at the Redeemer Bookshop.